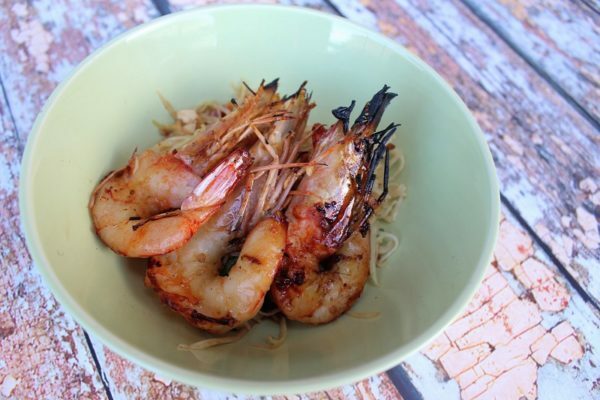 This Vietnamese-inspired barbecue prawn dish is served on a bed of shredded green papaya, but young mango would work just as well, and would add a nice tangy note to the dish. In the absence of either, I would suggest thinly shredded cabbage. Adapted from Luke Nguyen’s “Indochine”. 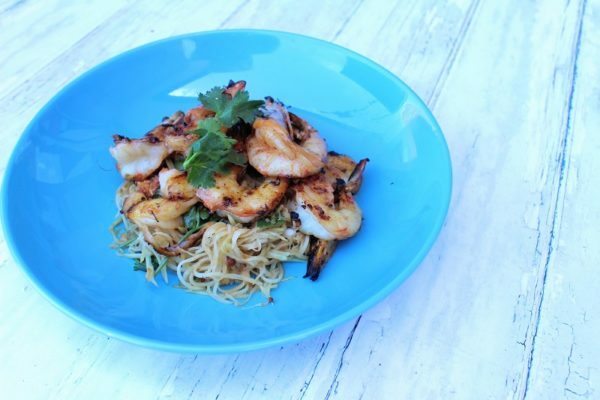 Combine marinade ingredients with prawns. Marinate for 20 minutes. Remove prawns from marinade and transfer to grill. Baste with oil and grill until done. Transfer marinade to a saucepan and simmer until slightly thickened. Allow to cool. Toss papaya with cooked marinade, peanuts, garlic and coriander.